An ambivalent fan discusses why "Step" and "Hannah Hunt" are the high points of Vampire Weekend's latest release. 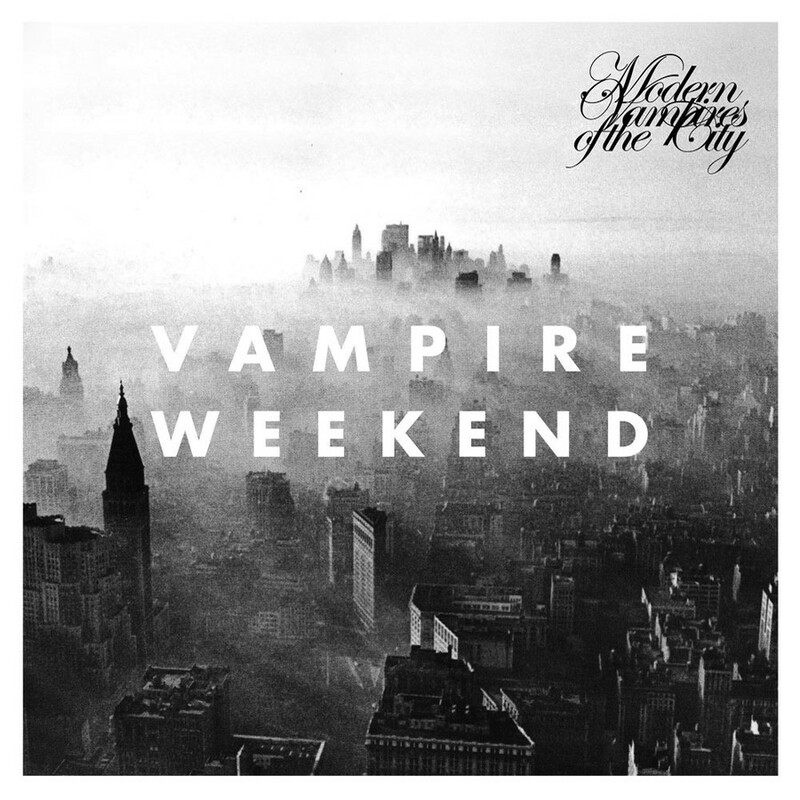 The first time I listened to the new Vampire Weekend album Modern Vampires of the City was sometime in the middle of last week, and, immediately after hearing it, I remarked jokingly to my roommate that the over/under for Pitchfork’s inevitable rave of this thing should be a 9.5. Lo and behold, I wake up Monday morning and the 9.3 it has drawn from Mr. Ryan Dombal is not so far off. “Congratulations,” I say to myself, before I punch myself in the face. The release of a new Vampire Weekend album is a weird thing because it causes a disproportionate amount of rage from people who otherwise don’t seem to really care about this type of music. New Deerhunter album, new Grizzly Bear album, whatever, you either dig that Urban Outfitters stuff or you don’t. But a new Vampire Weekend album, now everybody who hates them is crawling out of the woodwork and screaming about it. This is one of those things where cultural dialogue seems like it’s going on even in spite of itself. Which explains the media narrative surrounding the new album: Music publications that have always loved Vampire Weekend still love Vampire Weekend, only now it’s a little passé because of all the people who hate the living hell out of them for reasons that range from completely legitimate to wildly off-base (who cares if they’re Ivy League?). Yet every review I have read of Modern Vampires in the past week has included at least some mention of how this is the album that will turn the opinion of those who prefer their indie-pop a little less high-pitched and manic. This is when I should say that my relationship to Vampire Weekend is fraught, or complicated, and when I should mention that I have some kind of interesting perspective on this discussion that hasn’t been aired much, but really, I don’t. Basically, I hate Vampire Weekend. I hate that guy’s stupid voice, that stupid Cape Cod thing (is it a dance? I don’t care), that stupid chandelier, the fact that they ruined the opening credits to Step Brothers (an otherwise perfect film). And this is where I should say that I hate Modern Vampires of the City, that I am sticking to my guns and not looking back, that the media narrative has done nothing to sway my opinion. But, those would be lies. This album is pretty good. Part of why people are gravitating towards the “game-changer” angle is because the album really does grab your attention immediately as not sounding like a Vampire Weekend record. While opener “Obvious Bicycle” would seem to have all the hallmarks of irritation—mainly, Ezra Koenig’s effete warbling of self-consciously wordy lyrics—it also boasts a melody that is downright freaking gorgeous, and the arrangement doesn’t get in the way of it at all. This turns out to be a theme. The first seven songs on this album each have at least one melodic turn, a chorus usually, or just a cool phrase, that will be lodged in your brain for several days. Also, the production is suddenly weird and kind of cool. They’ve brought in Ariel Rechtshaid, known for his work on Usher’s Pitchfork fave “Climax.” This was a good call. I know nothing about electronica, but these little technological flourishes, like the vocal modulations on “Diane Young,” serve this band well. It feels totally natural, softening the edges of their fastidiousness. But what’s really unexpected is how spacious these songs are. Earlier Vampire Weekend records were marked sonically by the cluttered, twee aping of Graceland-era Paul Simon, but this thing really breathes, and its breath is heaving with detail. Most songs are driven by some simple chords on a piano or harpsichord and a subtly electro-fied drum part, making fantastic use of dynamics and giving Koenig’s breathtaking melodies center stage. A word like “breathtaking” sounds like hyperbole, but, honestly, there are more than a few moments here that made me kind of gasp at the hubris from this Koenig guy. The melodies are slow and languid, and it feels like you’ve heard them before in the best, most uncanny way. A lot of them sound classic. Koenig is shooting high—Roy Orbison, Paul McCartney, Kinks, later Paul Simon—and, mostly, he’s hitting his marks, which for me was kind of shocking. These songs are often incredibly simple, but enough of them reach that point of melodic bliss where even the deep-rooted nerd in me wasn’t complaining about the 1–5–1 chord changes, he was just singing along. The highlights here are “Step” and “Hannah Hunt.” I don’t even know what to say about these songs, they’re just really beautiful, basically perfect. The melodies induce tears, the lyrics aren’t even annoying because they’re rhythmically tailored to the song. They have been in my head for days. There’s a moment about a minute from the end of “Hannah Hunt” where Koenig starts to really cut loose and belt that will just kill you if you like this kind of thing. Everyone I’ve talked to about this album has mentioned that moment. It’s crazy. You should listen to it. It’s not perfect. The winning streak ends at track eight, “Finger Back,” which is truly irritating in the manner of previous VW releases, and the next one, “Worship You,” which is quite boring. But “Ya Hey” and “Hudson” send things out nicely (with lots more vocal modulation to keep everyone satisfied).